The body of a dolphin is fascinated, and it definitely serves its purpose. It is created to allow them to move with ease in the water and not to spend lots of energy as they do so. They live in the water so they are classified as marine mammals. While the majority of them live in saltwater there are a few species able to thrive in freshwater locations. Both whales and porpoises are closely related to dolphins. The size of any dolphin species is based on a variety of factors. For example, where they live and what they eat. Some dolphins are about 4 feet long and others are closer to 30 feet. Some of them weigh less than 100 pounds – about 90 – and there are those that weigh close to 11 tons. They range in color with shades of light blue and grays. Some of them have other colors too though such as pink and yellow. Most have a white or cream on the belly. 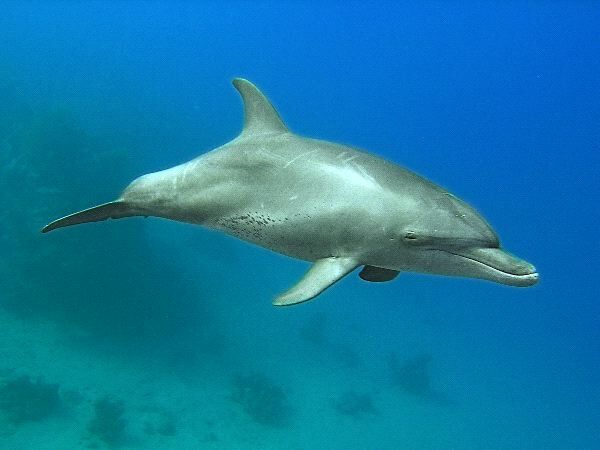 The skin for dolphins is rubbery, and it can be very sensitive to human touch as well as various elements in the water. Some of them do have a remarkable ability to heal even from gouges and shark bites. They don’t feature any sweat glands but they do have very thick skin. It is anywhere from 10 to 20 times thicker than human skin. They also lose their outer layer of skin every few hours. They have connective tissues and blood vessels in their skin. Most of the dolphin species are able to swim at a good speed. They use their fluke which is the name of the tail to help them move through the water. They can move in various directions using the pectoral fins. Communication and finding food is often done through the use of echolocation. This involves the melon on the head where fat is stored. Signals move from the melon to the lower jaw. On top of the head is a blowhole that the dolphin will use to get air. The amount of time they can go between breathes varies by species. Those that need to get air often will live closer to the shore and not be able to dive as deeply. They have a large brain in comparison to their body, and there are many studies that show this is a direct correlation to intelligence. They rank #2 in this category with humans being #1. It may not seem like dolphins sleep, but they do. However, they have the ability to rest only one side of their brain at a time. This allows them to be able to get to the surface for air as they need to. It also allows them to remain alert just in case there are any dangers around them that they need to be ready for. The only time they have been seen fully sleeping is when they are in captivity. While a few species of dolphins have small hairs on their body, almost all of them don’t feature any at all. Those that do have them at birth often lose them soon afterwards. 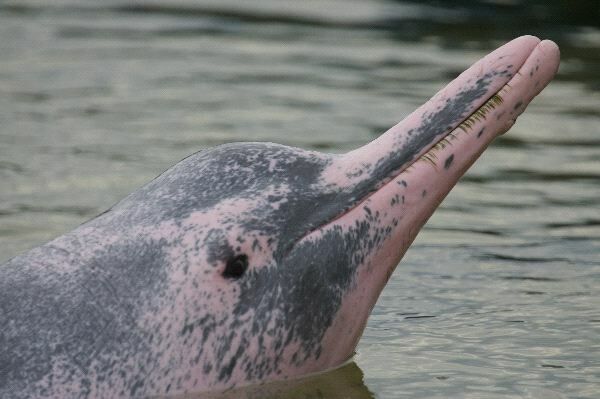 The exception is the Boto River Dolphin as they do continue to keep those small hairs even when they are fully mature. Dolphins do have teeth, and the number of them varies by species. Some have teeth on the upper and lower jaws but it is possible for them to be present only on one or the other. They don’t use teeth to chew food though as they swallow their prey. All but one species of dolphin has two stomachs. NextHow long do sharks live?